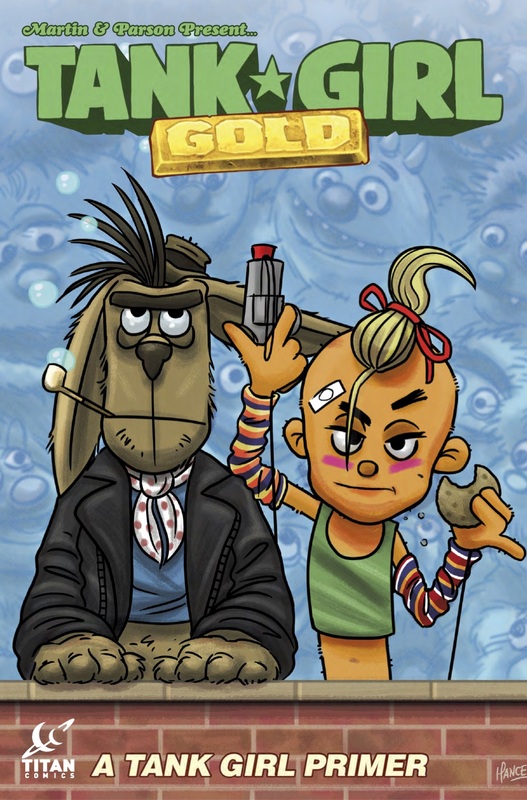 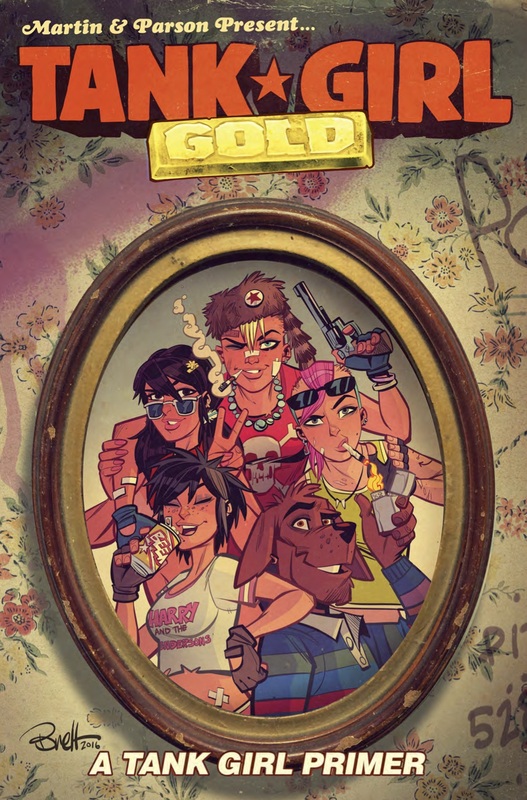 The Fellowship has obtained a first look at TANK GIRL GOLD #4 from Titan Comics. 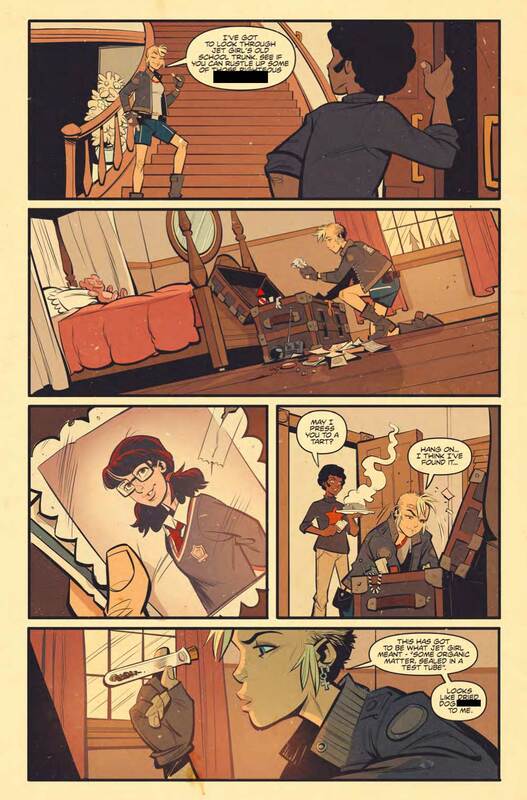 The issue, which hits stores February 22nd, is written by Alan Martin; with art by Brett Parson. 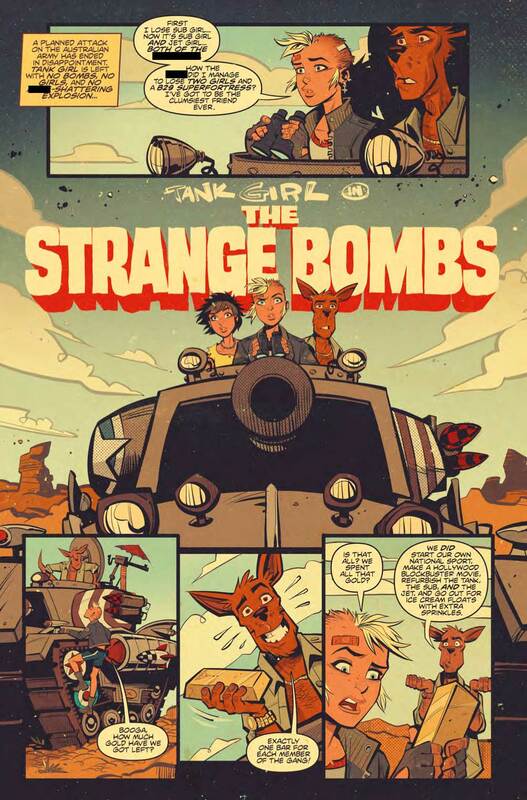 The covers are by Corey Loftis, Brett Parson, and James Hance. 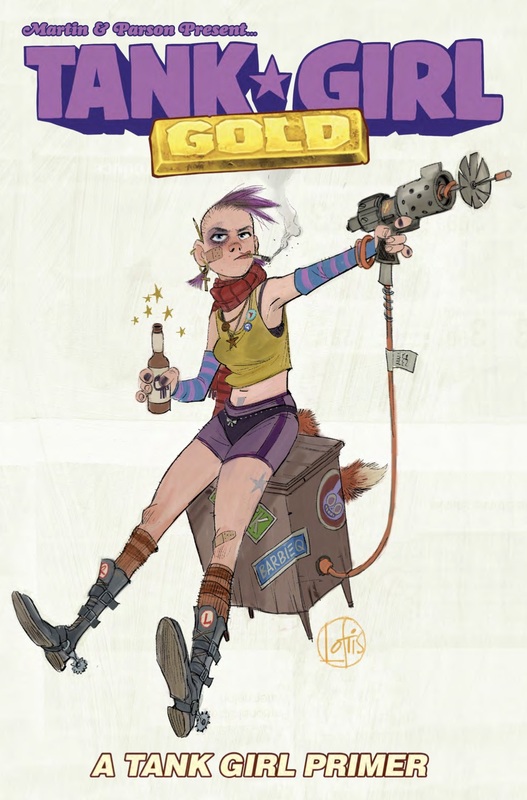 Marking the end of TG's latest madcap adventure, the Tank Girl Primer is THE essential lifestyle guide for all boys and girls of a violent disposition. 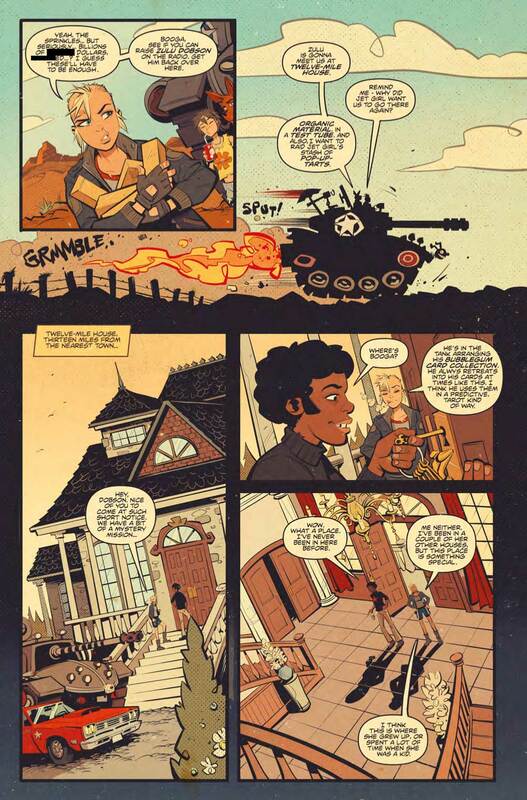 Pick up your copy today before it's blacklisted!